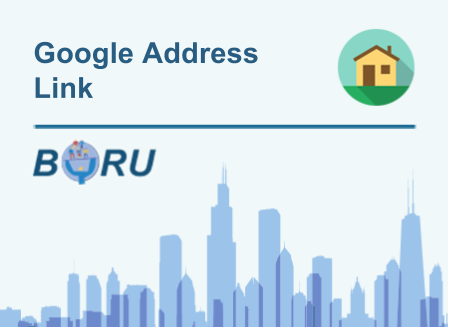 The Boru VTiger Google Maps Integration allows you to start from a contact, account and lead page in VTiger and see what else is nearby in the database. 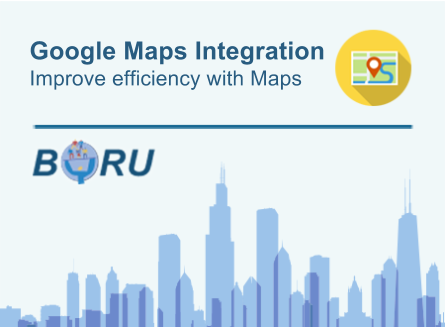 It displays VTiger contacts, accounts, and leads within a specified radius on a Google map. 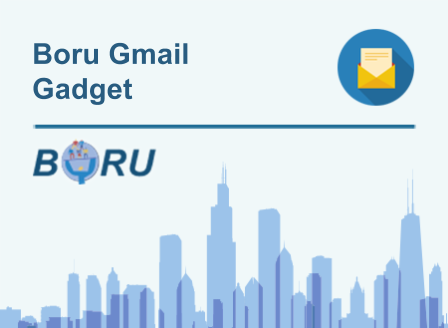 The Boru Vtiger Google Maps Integration allows you to start from a contact, account and lead page in Vtiger and see what else is nearby in the database. 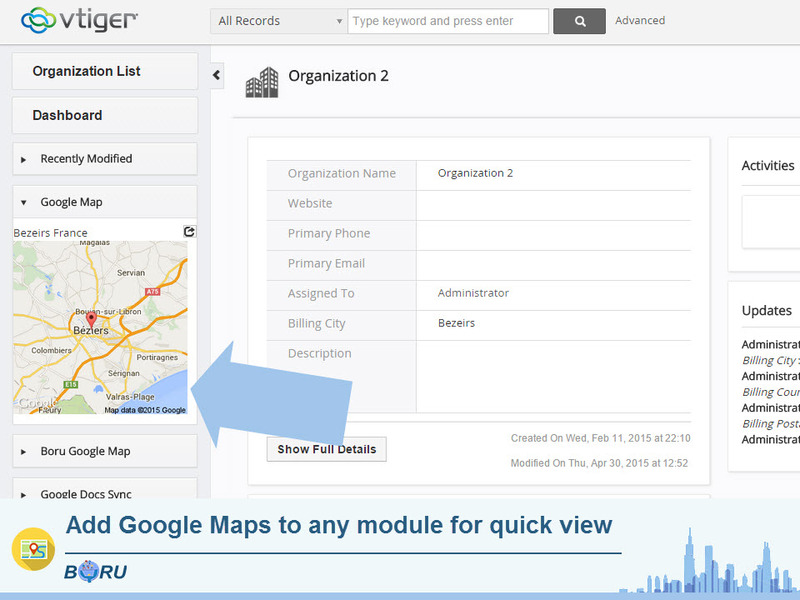 It displays Vtiger contacts, accounts, and leads within a specified radius on a Google map. It calculates the distance between the current record and every record in the database and shows all records on the map that with in the radius distance. Change the radius to bring in more data or show less. 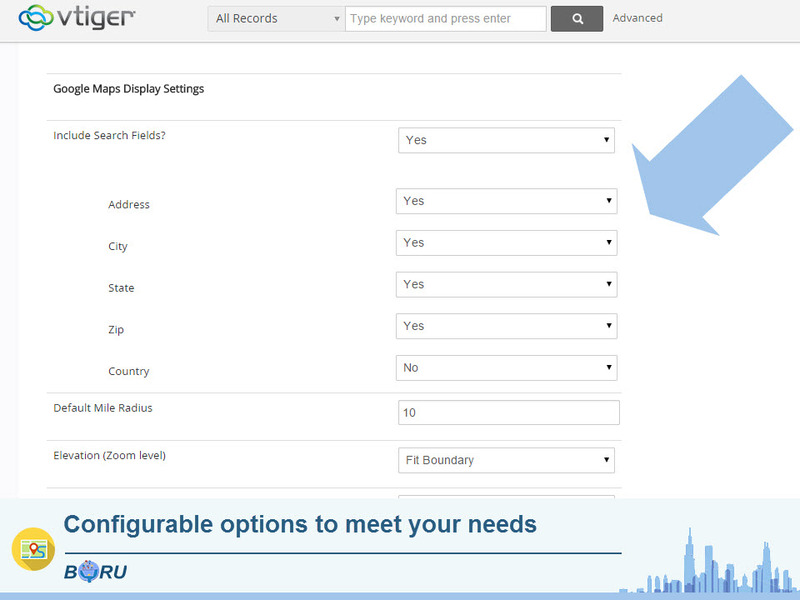 Click on a push pin to show detailed data from the Vtiger contact or account. 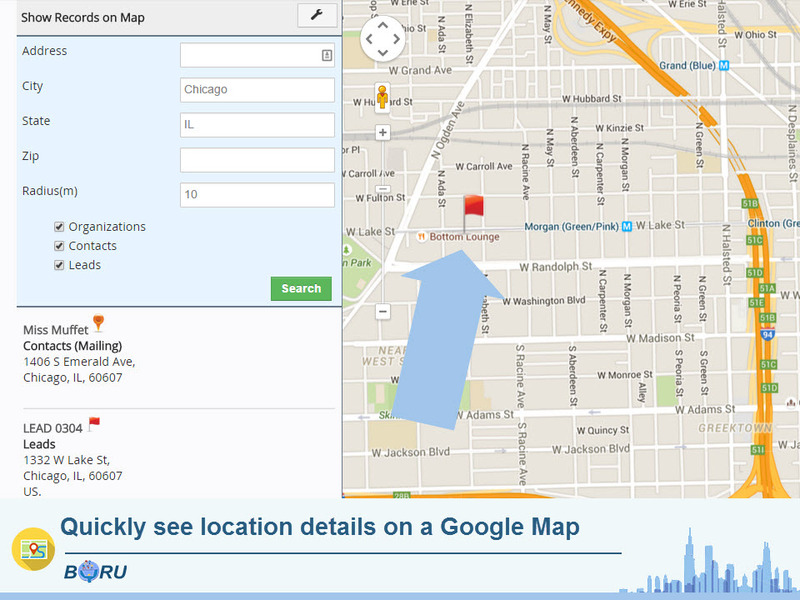 On the left margin, see detailed info about all contacts/accounts that are displayed on the map. 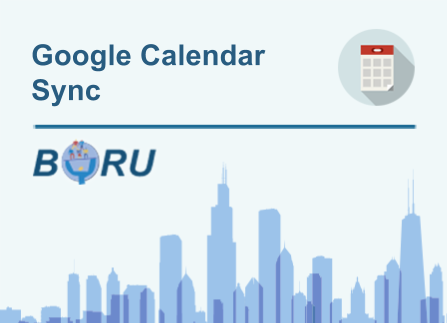 Click on an item to open up the contact or account detail page. Set filters so you can expand or contract the data that is displayed with the click of a mouse (customization). Set the color/shape of the pushpins to reflect specific data types from your Vtiger (customization). 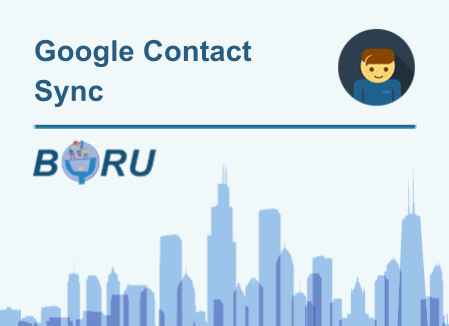 Add quick click icons to the display so, with one click, you can add a call linked to the contact or account (customization).